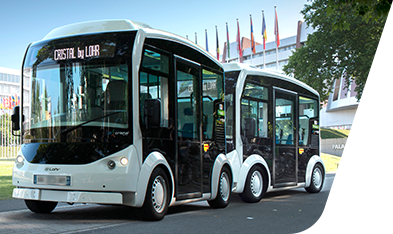 As cristal offers the option of being used as a public or private vehicle, offering a raft of services, it is a new way of sharing mobility, making journeys easier and ensuring optimum use of the vehicle. 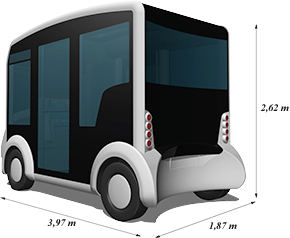 This 100% electric vehicle is both compact and roomy, reducing its urban footprint while offering a large interior volume. 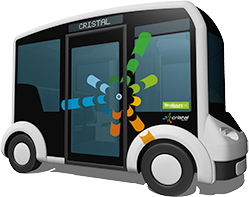 Cristal provides 100% accessibility for people with reduced mobility and can accommodate up to 20 standing persons in shuttle mode. 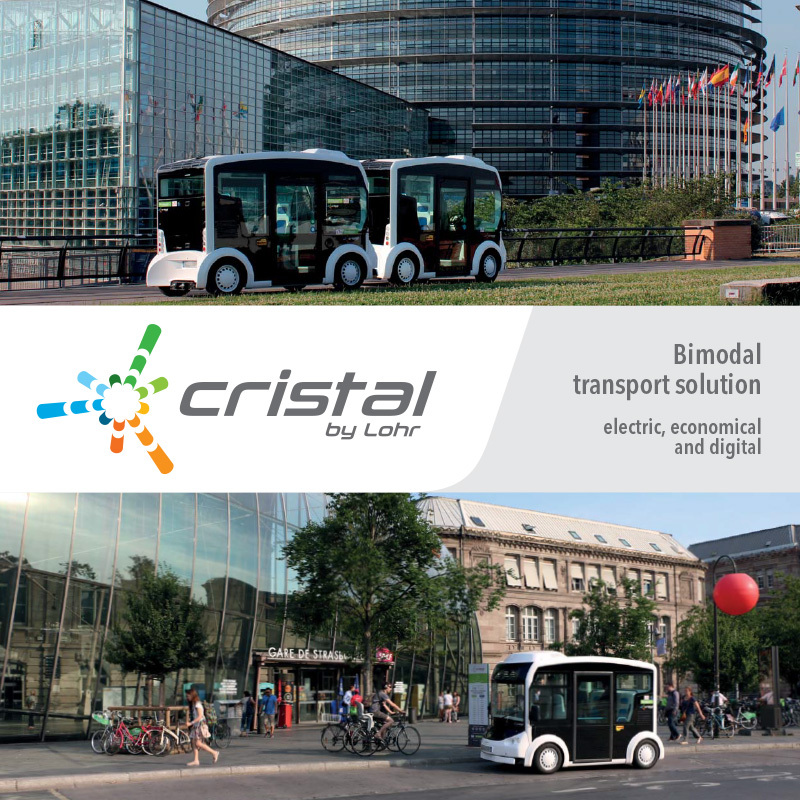 Designed with public transport in mind, the cristal system is part of the full complementarity of forms of “mass” public transport (such as the underground, trams and buses), and ensures that the “last mile” is served. 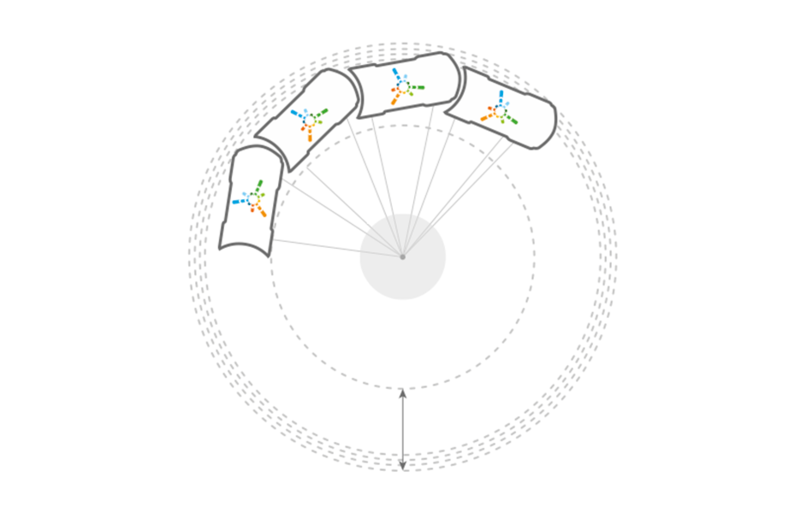 It is innovative because it provides an integral offer. 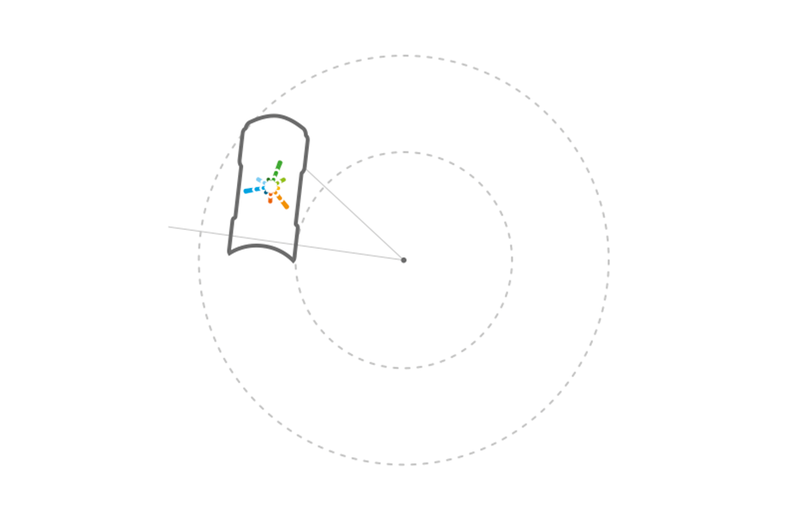 It is connected, shared, clean, and run by the same operator as the whole of the existing public transport network. Cristal cabins all remain motorised, braked and steered. 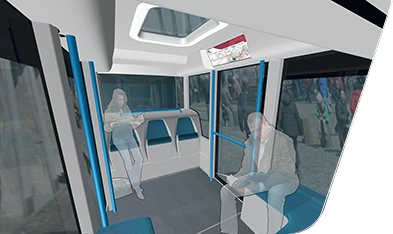 cristal cabin is designed for local authorities facing considerable fluctuation in transport demand or integration constraints. 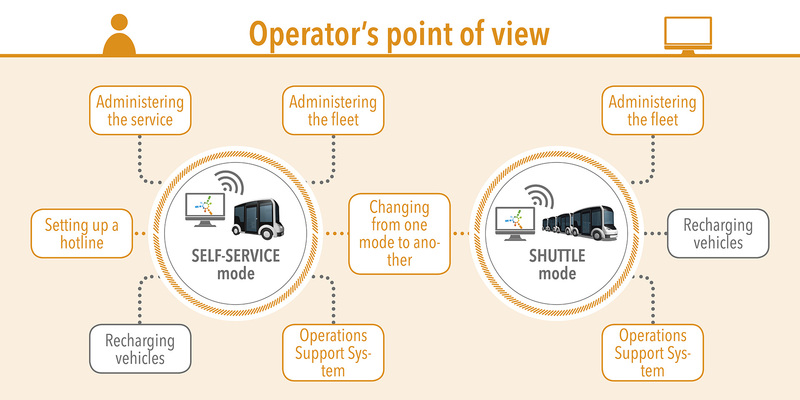 In shuttle mode the stations are permanently reorganised, with cristal vehicles rearranged according to requirements. Dual use allows the vehicles to be used more efficiently. 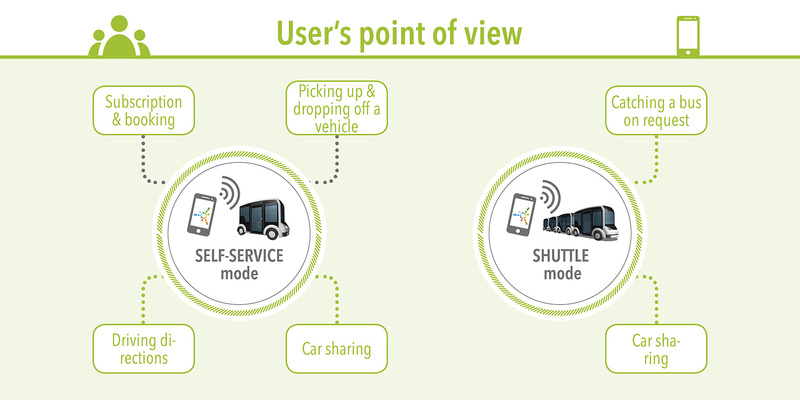 Information and reservations in real time by Smartphone to facilitate the use for users and the operator. 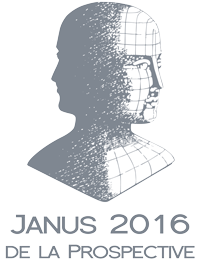 zero CO2 and GHG emissions. 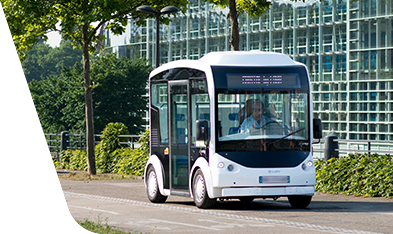 on-board battery has enough power to run all day. Complete system incorporating a digital brick to facilitate use for both users and the operator.